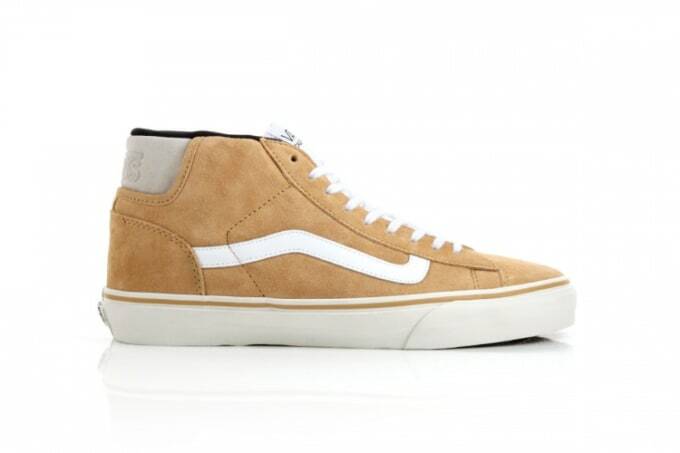 Kicks of the Day: Vans California Mid Skool '77 "Bone/White"
Vans California comes with a new Mid Skool &apos;77 release this month, here featured in a Bone and white color combo. The offering has been done up in suede, as the complementing white branding matches the laces and midsole accordingly to offset the Bone-colored backdrop. Additional black tagging contrasts further atop the tongue, then coinciding with the lining. Hit up Vans carriers like New York&apos;s DQM to purchase for $75.